As a shipper of hazardous materials/dangerous goods*, are you meeting the legal requirements? 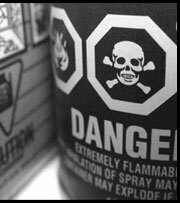 You may have heard that as of February 17th of this year, the maximum civil penalty for a hazardous materials/dangerous goods* violation was increased from $32,000 to $50,000. In addition, the maximum criminal penalty of 5 years imprisonment was increased to 10 years for certain violations. To ensure compliance with hazardous materials/dangerous goods* air shipping regulations, the Federal Aviation Administration (FAA) inspects shippers and carriers of hazardous materials/dangerous goods*. FAA inspections can be initiated by an airline reporting a problem (e.g., improperly packaged or leaking item), targeted inspections (e.g., shippers of high hazard goods -infectious substances, radioactive materials, etc), reports from concerned persons or disgruntled employees, etc. Do not delay compliance. Now is the time to act. Federal Aviation Administration (FAA) inspectors say that the most common violation of hazardous materials/dangerous goods* shippers is failure to train employees. 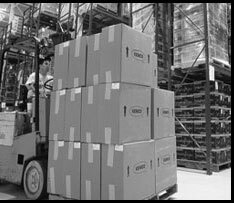 Additional common violations include the improper classification, failure to follow packing instructions, and improper labeling of hazardous materials/dangerous goods*. operate a vehicle which transports hazardous materials/dangerous goods*. If you ship hazardous materials/dangerous goods* internationally or use an airline which is an IATA member (such as FedEx, UPS, United Airlines, American Airlines, etc) you are required to have initial training within 90 days of the job function and be retrained every 2 years. Additionally, employees must be retrained when there are changes in the regulations which impact them. Employees must be tested and certified. But the testing can (and should) be customized to the functions of the employee. Modified Uniform Hazardous Waste Manifests go into effect on September 5, 2006. If you ship hazardous wastes, these changes will impact you. HM-226a effects many of the 49 CFR requirements relating to infectious substances and medical waste. These changes become effective on October 1, 2006. Uniform Hazardous Waste Manifests are required to be used on September 5. 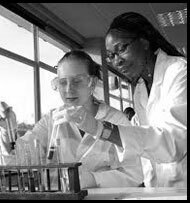 Contact me and I would be happy to provide you a quotation for an IATA Dangerous Goods Training Program specific to the dangerous goods that you ship. Save money and time. You do not need to send your employees away to offsite training courses which may last three days! The program I offer can often be completed in a single 1-day session at your facility. In addition, the testing and certification can also be customized to the specific job functions. What makes my program especially valuable is that it is specific to the dangerous goods that you ship and it is presented by me, an expert in the field.